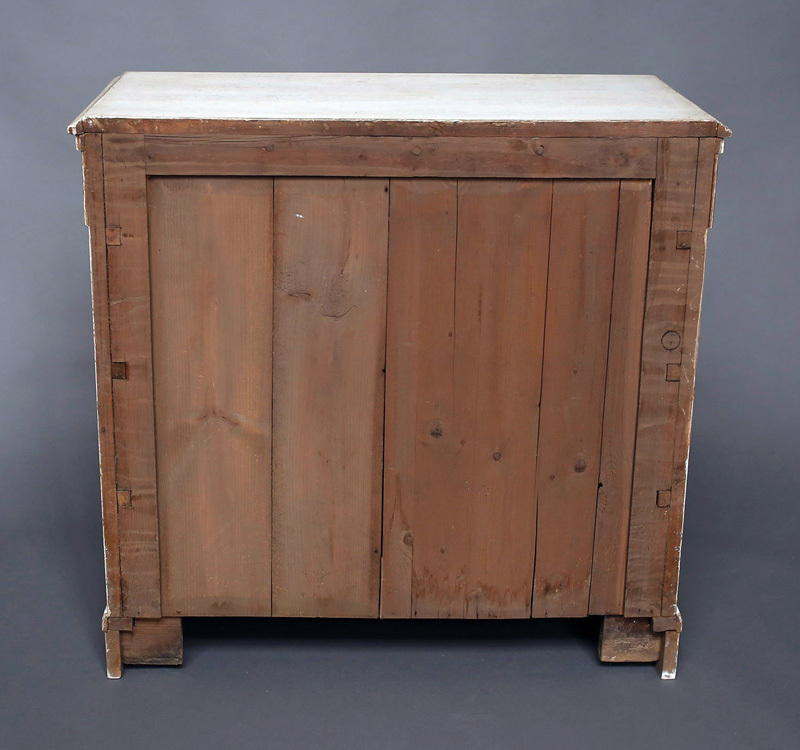 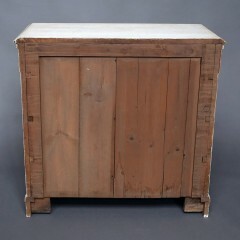 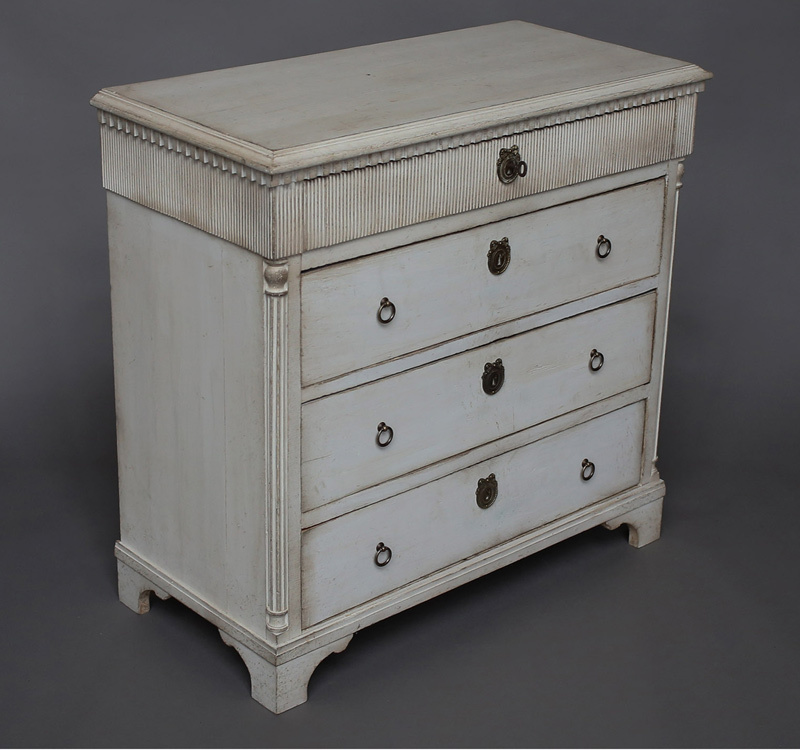 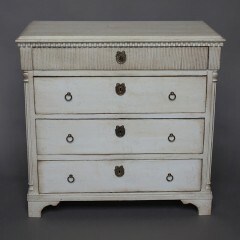 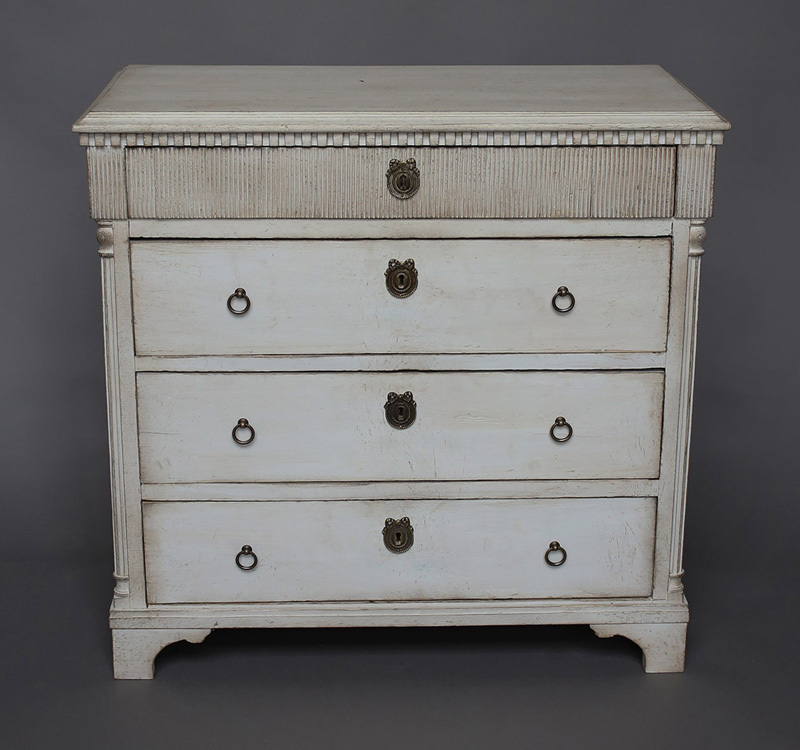 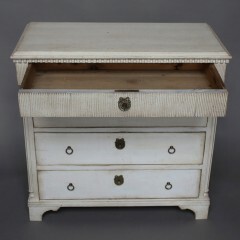 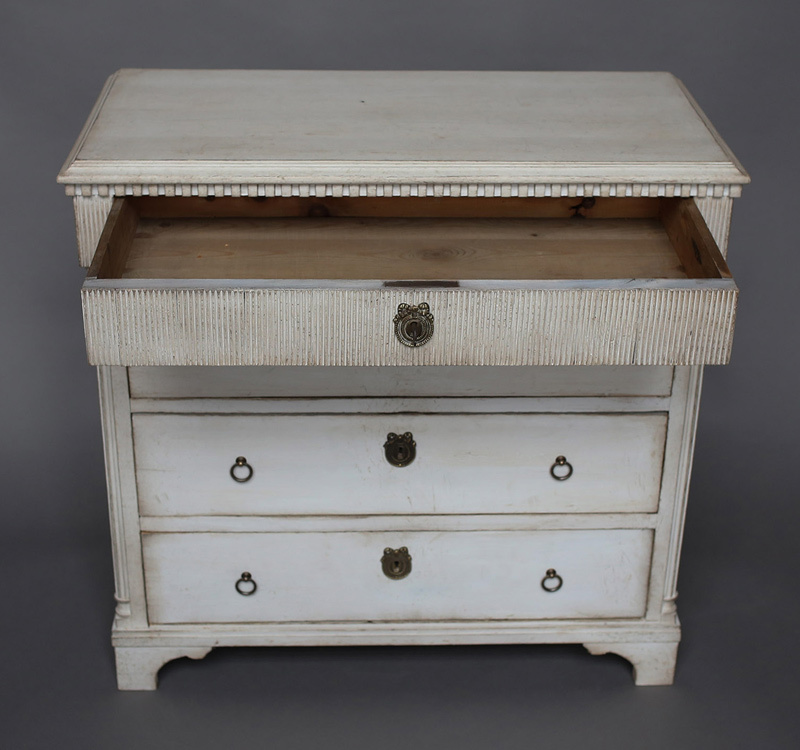 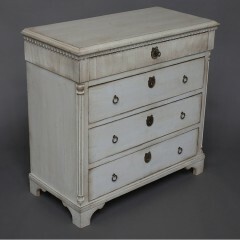 Small Louis XVI style commode, Denmark circa 1860, with four drawers. 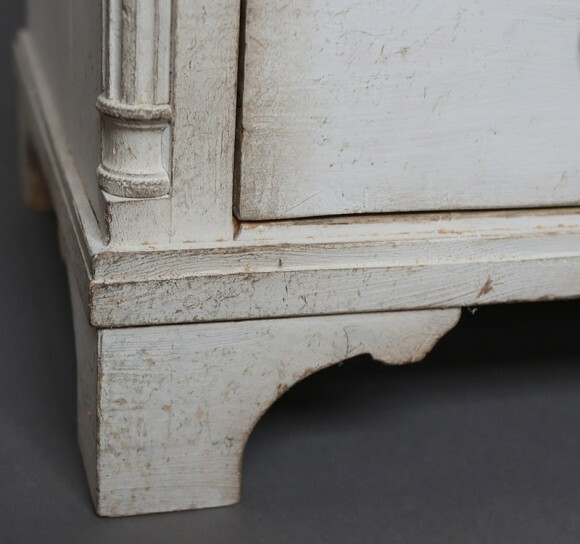 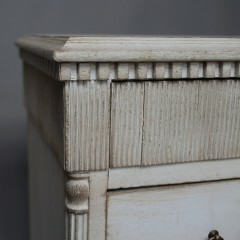 Dentil molding under the shaped top and reeding around the top drawer on three sides. 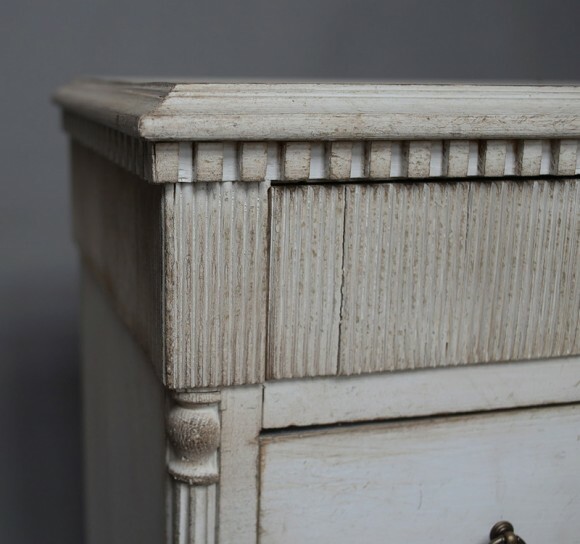 Reeded quarter columns with turned detail at the front corners. Shaped bracket base.